It’s important to realize that conflict is inevitable. People have different personalities, points of view, ideas, and needs. Whenever and wherever people work closely together, there is going to be occasional disagreements. The good news? All conflicts can be resolved if you manage them properly. Conflict resolution is crucial to the overall success of your business. 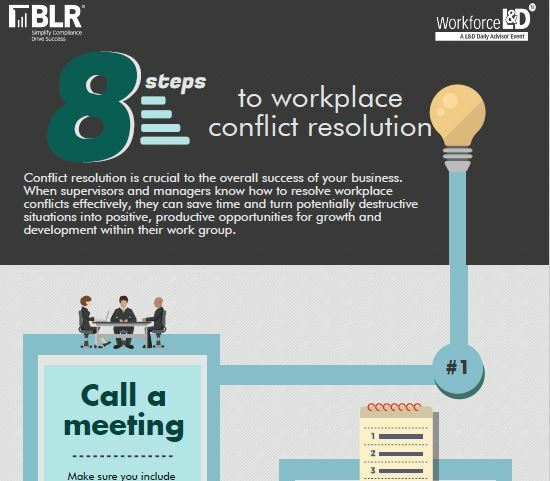 When supervisors and managers know how to resolve workplace conflicts effectively, they can save time and turn potentially destructive situations into positive, productive opportunities for growth and development within their work group. 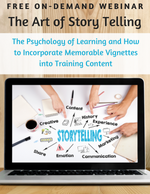 Download the free infographic today to learn how to manage conflict effectively!